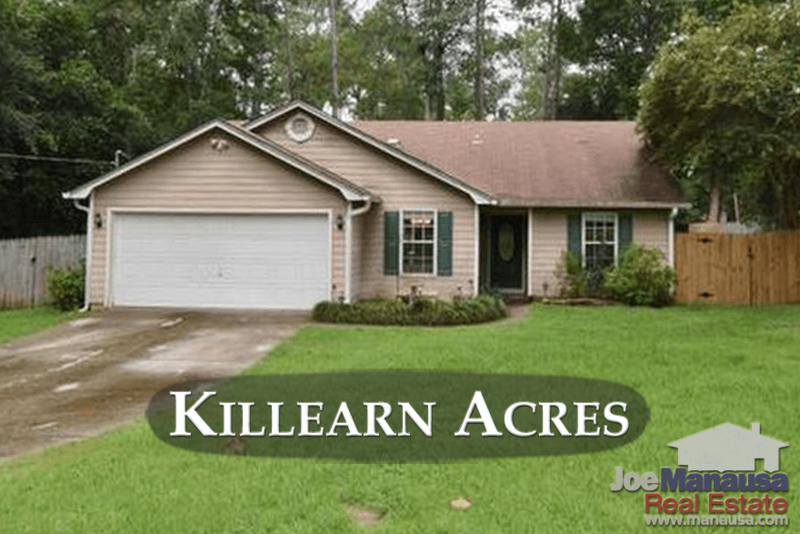 The following graph and list shows all homes for sale in Killearn Acres. It is important to note that the narrative contained below is for sales through December for all previous years, and through mid August in 2017. The graphs and the closed sales table will be continuously updated into the future (meaning bookmark this page if you always want to know the current status of homes in Killearn Acres). Killearn Acres home prices are rising, but that does not mean you can't find a good deal here. Currently, the average home price of $191,000 for Killearn Acres remains a solid value for homebuyers. Home sales activity is still very strong through mid August in 2017. Through the writing of this report, 46 homes have sold and closed in Killearn Acres, while more than half of the 24 homes currently listed for sale are already under contract. Homes that are marketed properly in Killearn Acres sell very fast (think hours or days, not weeks). 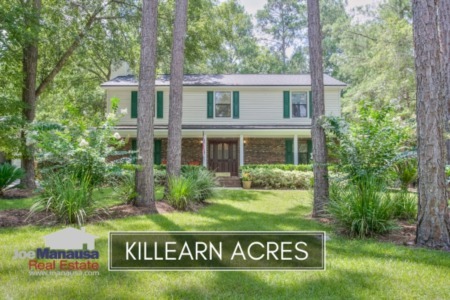 Average home values in Killearn Acres are moving as we forecast in previous reports. Average home values are up more than 7% thus far in 2017 (nearly 1% per month) and up a whopping 18% since the beginning of 2016. 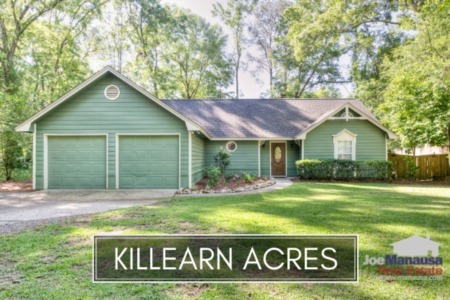 Limited supply, grade-A schools, and hot, hot demand suggest that there is plenty of upside left in the Killearn Acres housing recovery. I expect a new all-time high high before the end of 2019. The average home size sold in Killearn Acres typically falls in a range of 1,500 to 1,650 square feet, and buyers this year have been selecting the larger ones. With renovations being popular these days, some of the homes are truly "growing." Don't be surprised if this hot location sets a few new average home size records in the coming years. The 46 homes sold in 2017 have averaged 1,625 square feet. The following list contains more than 2,600 home sales in Killearn Acres going back to 1991. This concludes our August 2017 update on home sales in Killearn Acres, please feel free to drop me a note if you have questions not covered in this report.